Google's Pixel comes out with tons of new features and a whole new User Interface which includes New navigation keys, Round icons, Pixel launcher, Google assistant and more. Most of the features have already been ported to other Android Smartphones via Xposed and other Apps. 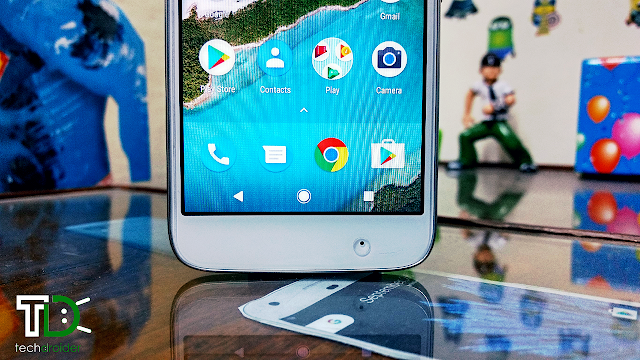 Even the Pixel launcher works perfectly on Android Marshmallow and Nougat, but one will not get Nougat exclusive default semi-transparent Pixel launcher dock on Android Marshmallow. However, "Pixel Dock" Xposed module can help you in enabling emi-Transparent Dock on Any Smartphone running Android Marshmallow. Your Smartphone need to be rooted and should be having Xposed and Pixel launcher Installed, in order to get the Semi-Transparent dock. Just Download "Pixel Dock" Xposed module and Install it, You will get the Semi-Transparent Dock on Pixel launcher.